At Maker&Smith we set out to inject energy into the craft sector, here, in Western Australia. As well as bringing in skilled makers from overseas to share techniques and networks, we also run workshops and talks delivered by local makers and smiths. We’ve spent quite a bit of time lately with the good people of Joondalup (a suburb in the north of Perth, WA), thanks to the ‘Adorn program‘, which we contributed to. 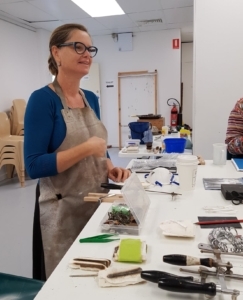 As we developed a short program of talks and workshops to complement an exhibition of the members of the Jewellers & Metalsmiths Group of WA, we had the good fortune of getting to know local studio jewellers and smiths. So much so that I’m confident we can say many are now our best friends! 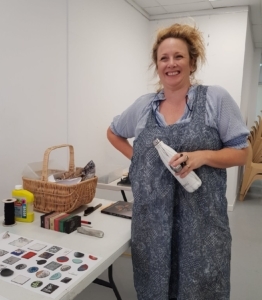 Last weekend Claire Townsend and Sarah Elson delivered workshops on Enamelling and Cuttlebone Casting. 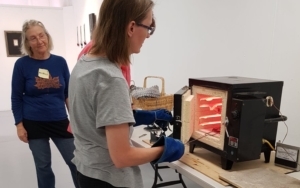 We feel very strongly about the power of workshops like these to instil an appreciation and understanding of what it takes to be a skilled maker. Workshop participants learning the right melting point for enamel on copper. Red hot kiln! 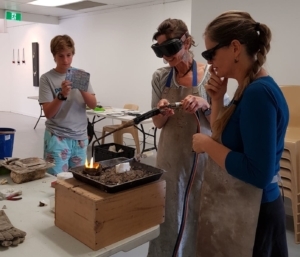 Workshop participants learning to pour molten silver into a carved cuttlebone cast. Years in the making, these artisans are artists as well as makers and teachers – their design training, creative concepts and personal narratives combine with their knowledge of materials and techniques to take their work to a high level. 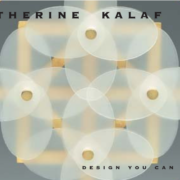 It becomes apparent as participants delve into the basics of these techniques in a 6-hour workshop how hard it is to perfect skills and also the endless possibilities of materials, and their limitations. Making mistakes and failing repeatedly make for good learning. In that short time you realise the long hours, dedication and resilience it must take to be an accomplished maker. Both Claire and Sarah are also professional teachers. Beyond their art, craft & design training, they’ve been teaching at a tertiary level for over 25 years, each. They have also perfected how best to impart the basics in 6 hours! Not everyone can do this; we get that. We pledge to do our best to engage experienced teachers and accomplished makers. And we hope that in this small way we can generate better skills and greater appreciation of craftspeople. We are so full of ideas for our program! If only time and budgets can make it all possible. Soon we will announce our Winter Program – which we are certainly excited about and we hope you will be too. We love to hear from you about your ideas, so talk to us. Claire Townsend	Adorn Workshops - Sold Out! Adorn Workshops – Sold Out! 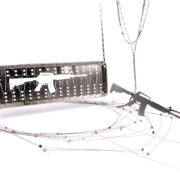 Claire Townsend Do we need a gallery for Contemporary Jewellery?